Jordan entered the business as a digital utility and worked his way up to a 2nd Assistant Cameraman for Local 600. While working on many hit shows including “NCIS”, “Pretty Little Liars”, “Justified”, and the feature film “Godzilla”, Jordan has been exposed to some of the most skilled filmmakers in Hollywood. After several years of assisting, Jordan was continually drawn to the art of Steadicam. 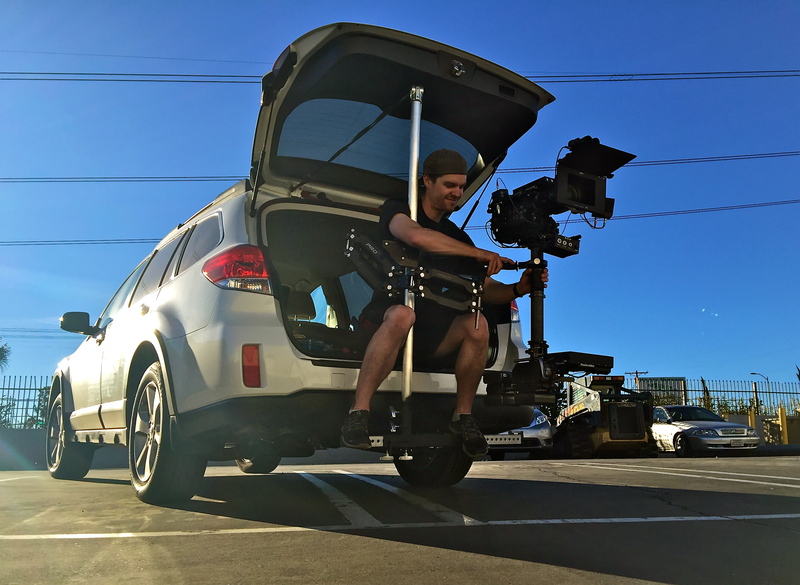 Other operators such as Craig Fikse, Jens Piotrowski, and many others inspired and mentored Jordan to pursue his goal to become a Steadicam Operator. Jordan received training at the worlds finest, Steadicam Operators Association Workshop in Chester Springs, Pennsylvania. He has been instructed by inventor Garrett Brown, Jerry Holway, and Larry McConkey. Combining this level of training along with years of experience, Jordan delivers a unique ability to enhance production.